The stable looked brilliant today, testimony to the hard work put in by Linda and her staff, as the doors were open to the public. 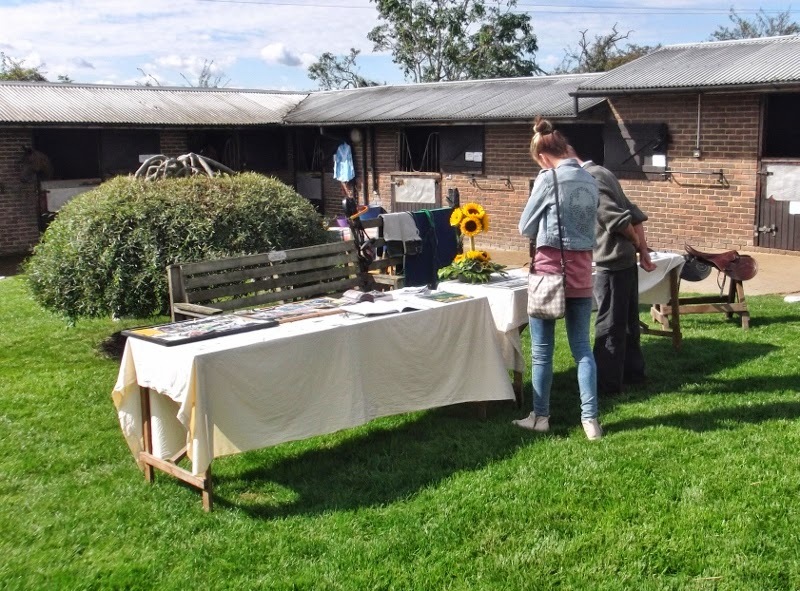 There was lots of information about the stables to be had in the main yard including a display of materials set out on the grass on tables. 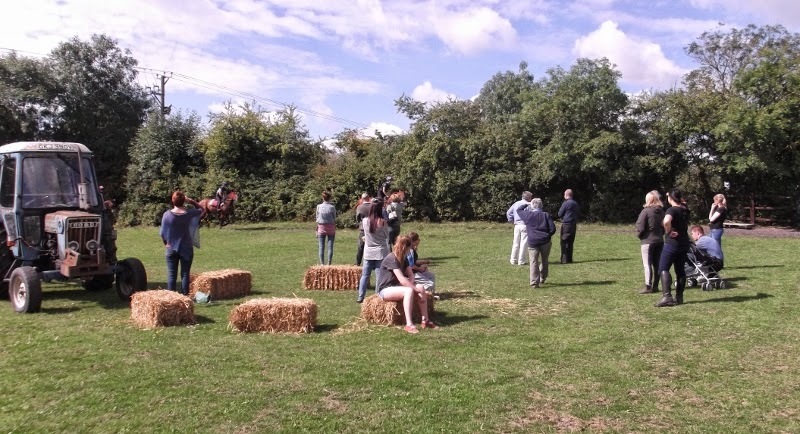 During the morning members of the public were able to watch two lots working on the gallops, with strategically placed straw bales to rest on if needed. 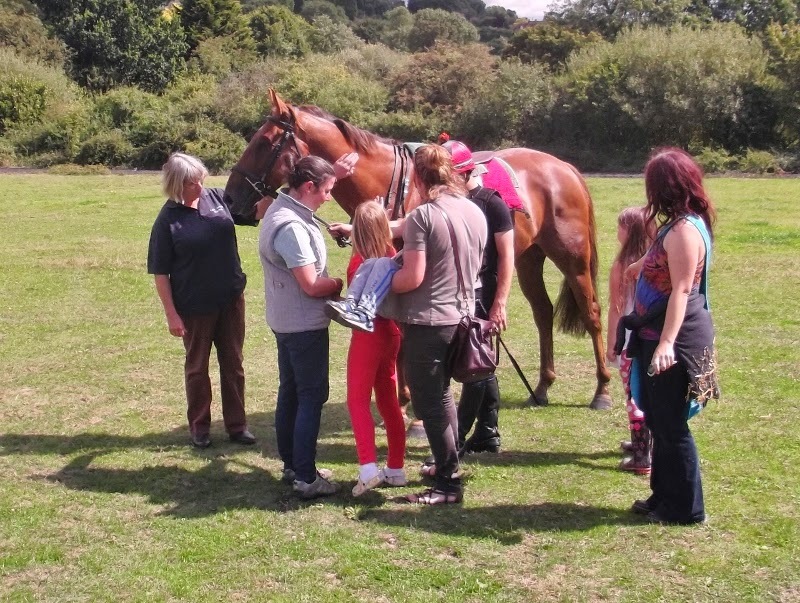 Some of the younger visitors were able to get up close to one of the friendly horses. All in all it was a great morning and a thoroughly deserved success for Linda and her team. 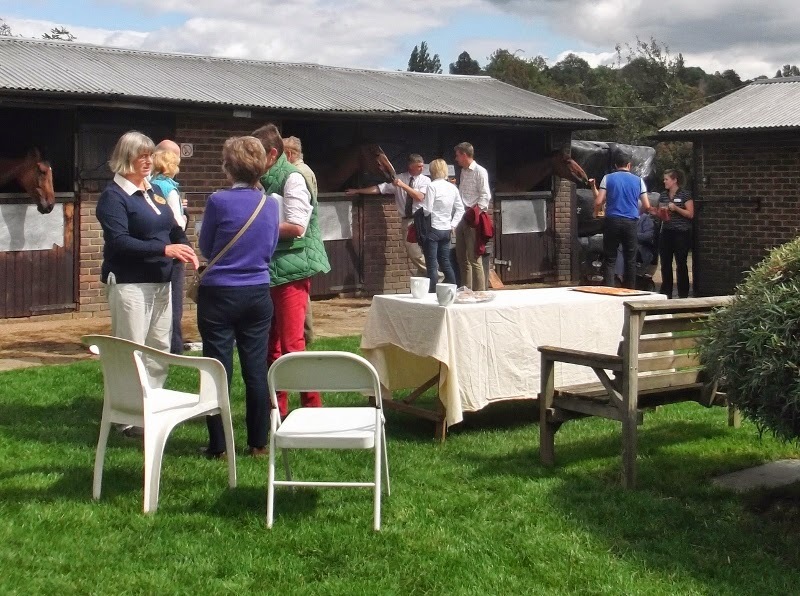 The sun shone on the Owners Open Day and the hard work by all the staff produced beautifully turned out horses and very satisfied owners. 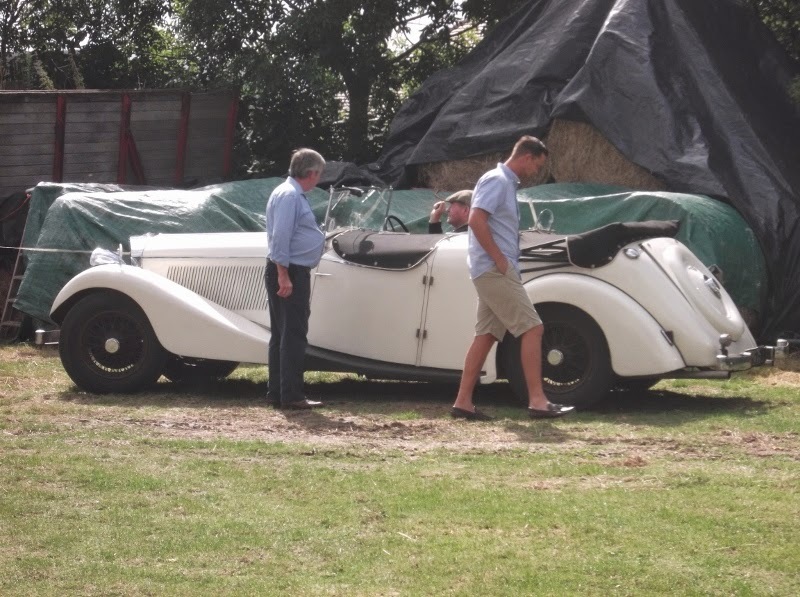 Some people arrived in style! 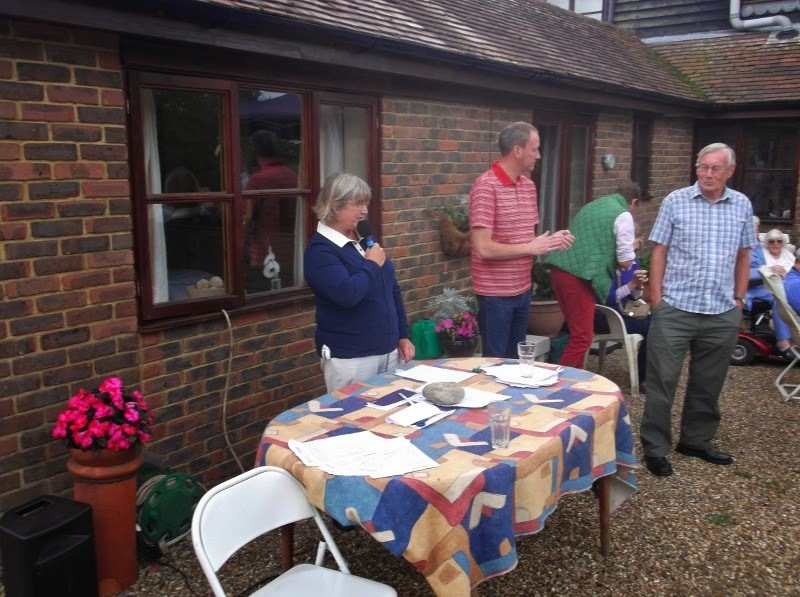 Drinks and nibbles were served while owners strolled around the yard chatting and looking at the horses in their boxes. Linda talked about each of the horses as they were paraded. Then it was off to Lingfield with Fleeting Indian who completed an excellent day by claiming third place in the selling stakes at odds of 20/1. The staff have all been working hard preparing for the annual Open Days. 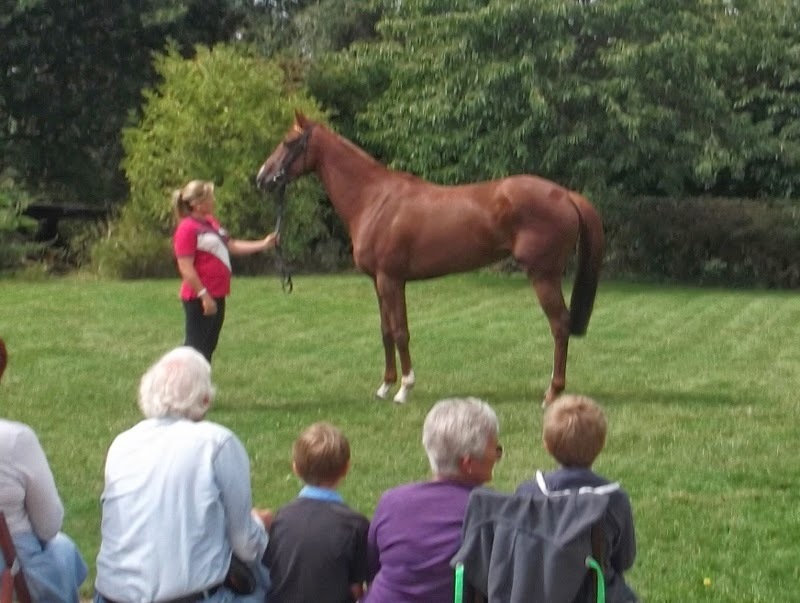 The Owners Open Day is on Saturday 16th August and the following week (23rd August) the yard is open to the public. 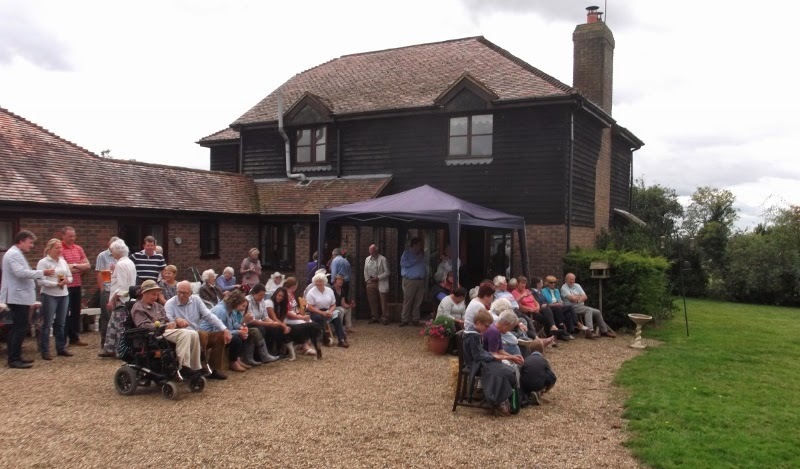 Details of the Public Open Day can be viewed on the special page on the website. Claude gives Katie the prize. Claude Greenwood won his third "Best Turned Out" award in two months, yesterday at Brighton. Each time a different stable girl has put the work in to show him at his best and on this occasion it was Katie who went home £25 richer ﻿for her efforts. It was especially memorable for her as it was her first ever "Best Turned Out".